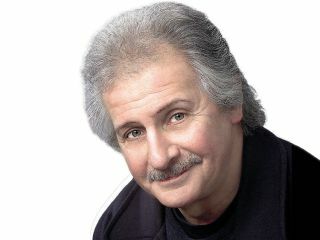 Former Beatles' drummer says "the door is open"
It's been 47 years since original Beatles' drummer Pete Best was 'sacked' and replaced with Ringo Starr, but the manner of his departure (and because it's "the biggest bloody icons in the music industry") make it a hot topic of discussion even now. "There have been many people kicked out of bands," Best explained to Rhythm. "But it just happens that I got kicked out of the band that went on to become the biggest bloody icons in the music industry!" When asked the age-old question 'why were you sacked? ', Best was honest: "I have no idea. It's not that I know and keep it secret. There was so much subterfuge at the time, like the initial press release that stated I'd left the band. Why would I leave a band that just got a deal?" Although Best admitted that finding out doesn't worry him "one iota anymore", he still wants to meet up with last-surviving band mate Paul McCartney. And has, in fact, tried many times to make it happen: "I phoned every night and they didn't want to talk to me." "But the door's always been open on my side. It would be nice to meet with Paul, but not to talk over what happened in August 1962. We're grown men now, we've matured, got our own families, life has gone on." You can read the full interview with Pete Best in the current issue of Rhythm magazine, available now.